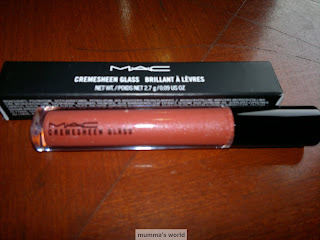 I got a creamsheen lipglass (part of my weekend haul) from the MAC Semi Precious Collection. So, I thought I should do a product review for you guys as well. First, a little about the collection: It includes 12 eyeshadows, 4 mineralize skinfinishes, 3 mineralize blushes, 4 Lipsticks, 5 Cremesheen Glasses, Zoom Fast Black Lash Mascara, Mineralize Satinfinish SPF15 Foundation, and Mineralize Face+Body Lotion. Many blogs have recommended "Subtropic" lipglass launcehed along with this collection. I tried to locate it at various MAC stores, but couldnot find it. 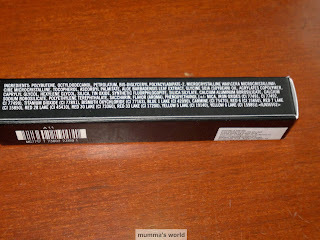 Even MAC website does not mention this about this lipglass. I was disappointed but the friendly MUA at the store suggested Geo Pink. I swatched it and voila had to get it. This is my first creamsheen lipglass from MAC. I have previously used lipglasses from MAC but the stickiness prevented me from using them religiously. But this lipglass made me worship MAC once again for lipglasses. MAC describes GEO PINK as strawberry pink on their website, but I found it to corally orangey peachy shade with very fine non-obvious shimmers. 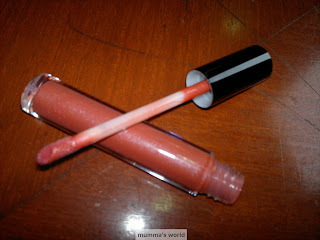 Even though the color looks bright in the tube it provides subtle color with sheen to the lips and is not very orangey. Would look good on all skin tones. I got this lipglass for INR 1,150 ( 2.7 gm/ 0.09 oz). May be expensive for some but then you are talking about MAC. The packaging of this lipglass is classy MAC (tube with a black top) with a doe foot applicator (same for most lipglasses). 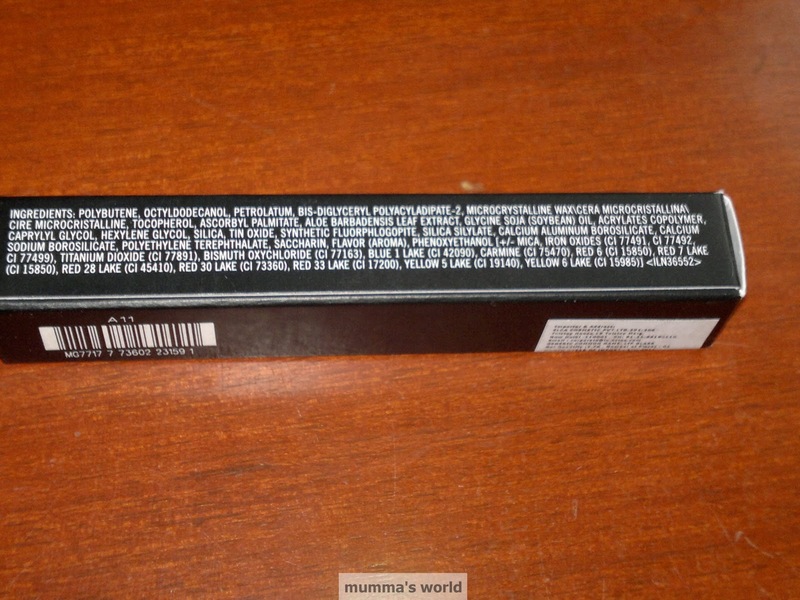 The packaging does not allow product wastage and every time you take out the wand, it is clean and only the applicator has the required amount of product. The gloss has a vanilla scent associated with most MAC products, which fades in a minute or two. The lasting power of this lipgloss on me is 3-4 hours without eating, which is quiet good as it is non-sticky in texture and it moisturizes my lips like a lipbalm. 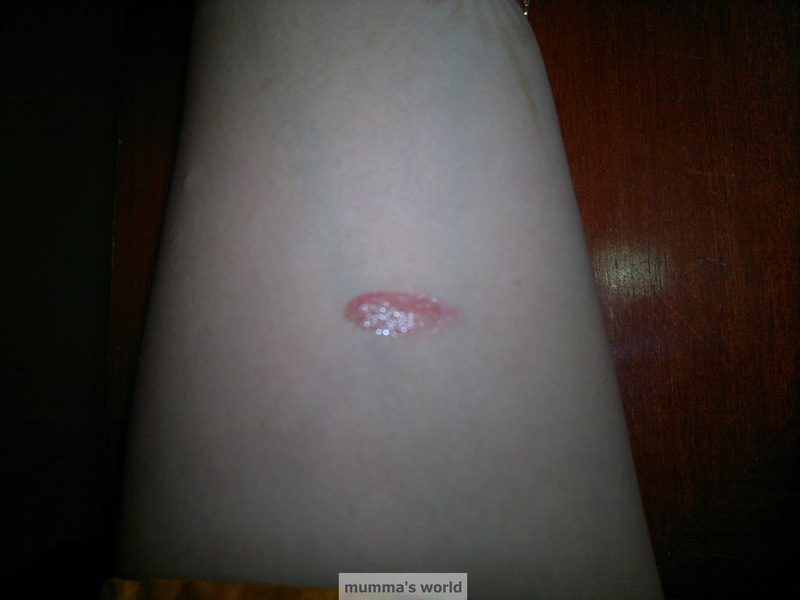 The lipgloss has very fine shimmers are not chunky and fade out evenly with the color. 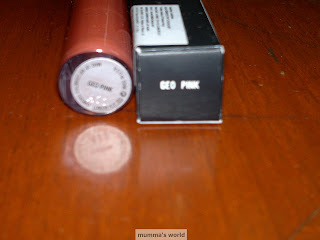 I would highly recommend GEO PINK to girls who are looking for non-sticky, moisturizing lipglosses.